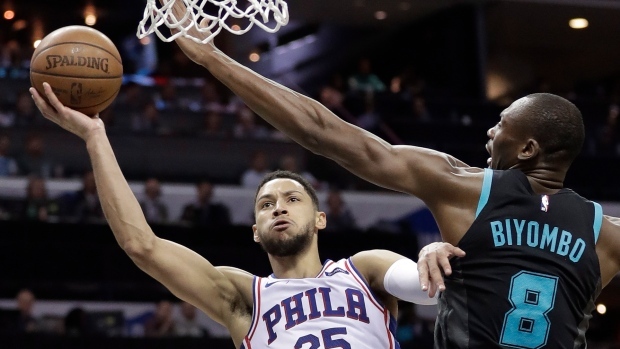 He occupied the same locker stall at the Spectrum Center that Zion Williamson, another famous Duke player, had this past weekend at the ACC Tournament championship. Williamson grabbed MVP honours, helping the Blue Devils beat Florida State in the championship game. Amir Johnson got the start at centre with Joel Embiid sitting out to rest in advance of Wednesday night's game against the Celtics.